Bad news folks! The TV gods might have saved Brooklyn Nine-Nine, but they’ve also decided to take away Designated Survivor. 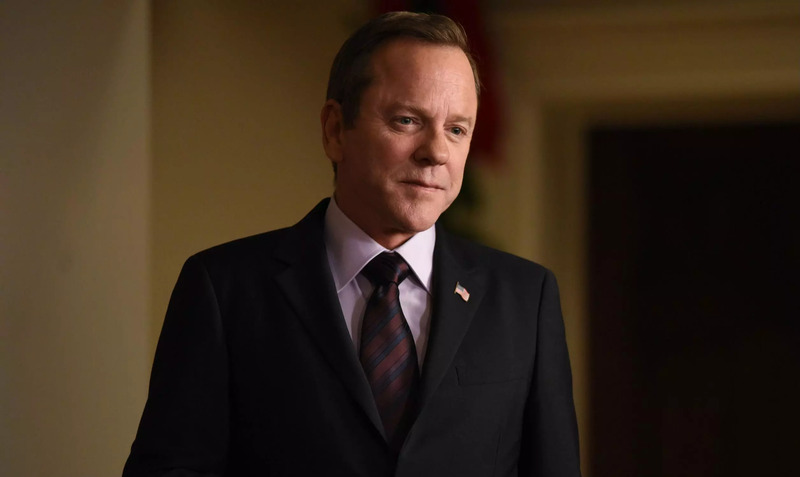 The show, which airs in America on ABC, centred on Kiefer Sutherland, who ended up as President of the USA after an explosion killed every other person in line for the top job. The show enjoyed two seasons of success, especially thanks to Netflix, who distributed the show worldwide to positive reviews. As it stands, the final episode of season two is set to air on May 16, which will also serve as the season finale, according to The Hollywood Reporter. The show has apparently not had a good run at things behind the scenes, and has had four show runners in its two-season run. The news comes amid the series of cancellations and renewals for the upcoming year’s network TV. News recently broke of the cancellation of fan favourite, Brooklyn Nine-Nine, the Fox cop comedy starring Terry Crews and Andy Samberg. However, early this morning, (May 12), news broke via Samberg’s Twitter account, the show had been picked up by NBC for one more season. A day later, a potential revival looked bleak after Hulu — which retains SVOD rights to Brooklyn — and Netflix both passed on a potential sixth season. Hours later, NBC swooped in to renew the series for an ‘abbreviated 13-episode season’. While it’s great news about Brooklyn, we should all take a moment to mourn the loss of Designated Survivor.